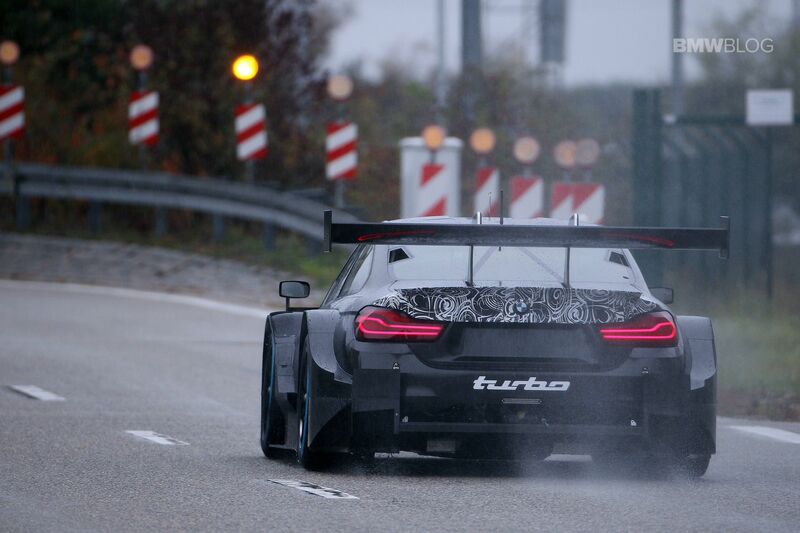 Last week we learned that BMW will be leaving its atmospheric V8 engine behind in the next DTM season, and adopt a turbocharged 2-liter four-cylinder engine, a mill that is currently being developed by the Motorsport engineers. This is not necessarily a voluntary move from BMW but a necessary change to make sure the teams are compliant with the new Class 1 regulations. Today, the Germans published a short soundbite of the engine on the track, to give us an idea of what’s in store. We really can’t make out much from the audio posted below and we certainly can’t compare the sound made by a naturally aspirated V8 with a heavily turbocharged 4-cylinder. However, we’re hoping that the technology developed for the DTM will make its way into production cars in the future and that’s definitely a possibility as regulations will force manufacturers to cut down on engine displacement. “The new engine will have an effect on the top speed in particular. We will be significantly faster on the straights and that will provide even more excitement for the spectators. Of course, the engine does sound different now but I still really like the sound,” he added, talking about the new powerplant. Let’s hope the new DTM season, with Aston Martin involved, will be taken to a whole new level in terms of excitement.